Let’s face it, everything demands our attention these days. It’s not just our family, friends and co-workers but also our phones, our email and our social media that all fight for our attention at any given moment. It can be downright overwhelming at times and makes it really challenging to get focussed and get a job done. Yeah, I know that every generation thinks the one immediately following it is doomed but the cost of these now ingrained distractions to our personal and professional life is well documented. Researchers at the University of California, Irvine found that it takes a typical office worker 25 minutes to return to the original task after an interruption, and an experiment by the authors of The Plateau Effect: Getting from Stuck to Success found that interruptions decreased work accuracy by a whopping 20%. So, I am not just Grandpa Simpson shaking my fist at a cloud or telling those kids to get off my lawn – being chronically distracted is an actual problem. In her book, One Thousand Gifts: A Dare to Live Fully Right Where You Are, Ann Voskamp said that “Simplicity is ultimately a matter of focus.” and I agree. It’s when you can truly shut out the world and focus on a problem that the complexity and confusion often falls away. 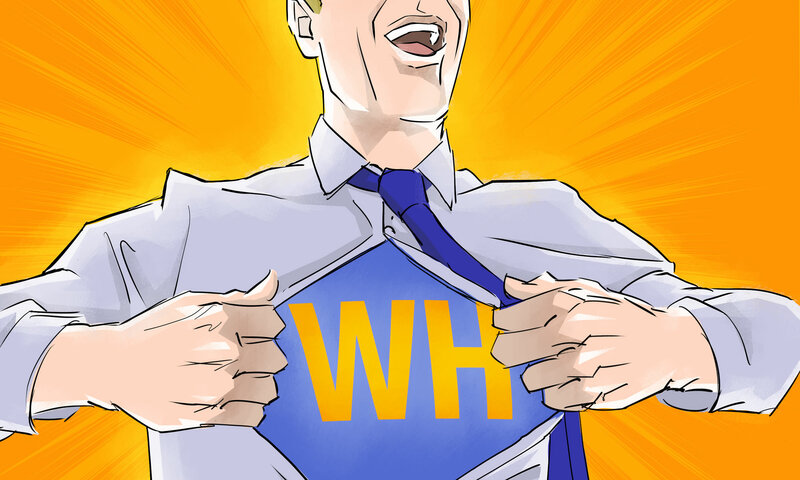 I want encourage you to sign up for the Workplace Hero email newsletter over at workplacehero.me. The sign up form is on the righthand side of the page. Please know that because I believe strongly in the idea of Inbox Zero, you will only receive an email once per week, and it will be short, to the point and easy to delete. Best of all, just for signing up, you will receive a coupon code for 10% off at the online health and fitness store, GreenfieldFitnessSystems.com. Over there they have a huge array of supplements, gear, plans, coaches and clothing that will help keep you healthy and fit. So sign up for the newsletter at workplacehero.me and get your discount code for GreenfieldFitnessSystems.com now. Ok, what was I talking about? Oh yeah, distractions! 1. Turn off smart phone notifications. Our smart phones have quickly become one of the greatest sources of distraction in our lives. The average person now checks their mobile phone a hard to believe, 150 times every day (just short of every 6 waking minutes). To limit their distractive nature, turn off all notifications (Email, Facebook, Twitter, Games, even messages, etc.) as your own default setting. As a result, you will be able to check your apps on YOUR schedule at your appointed times throughout the day, not just whenever Aunt Mabel hits reply all on the brunch chain email. 2. Read/Answer email only twice each day. Ok, maybe three times a day. When we keep our email client open all day, we surrender our attention to the most recent bidder rather than the most important. The sooner we realize this, the sooner we understand why the habit of checking email only twice/day is promoted over and over again by some of the most productive people in our world today (Michael Hyatt, Scott Belsky, Tim Ferriss). Schedule your email processing and stick to that schedule. You will feel the benefits immediately. 3. Complete 1-2 minute projects immediately. Our lives and minds are often cluttered and distracted by the many unfinished projects around us (unanswered email, household chores, financial responsibilities). Fortunately, many of these projects can be completed in far less time than we think. To live with less distraction, if a project can be completed in less than 2 minutes, just stop and get ‘er done so you won’t think about it anymore. 4. Remove physical clutter. Unnecessary clutter is a significant form of visual distraction. Consider this: everything in our eyesight subtly pulls at our attention at least a little. And the more we remove, the less visual stress and distraction we experience. Clear your desk, your walls, your counters, your computer’s desktop, and even your home of unneeded possessions. You’ll love your newfound ability to focus. 5. Clear visible, distracting digital clutter. Just like physical clutter distracts our attention, digital clutter accomplishes the same. Desktop icons, open programs, multiple browser tabs, and other visible notifications all jockey for attention in our mind. Notice the digital triggers that grab your attention and then ruthlessly remove them. Spare no one! 7. Establish a healthy morning routine. Henry Ward Beecher once said, “The first hour is the rudder of the day.” He was absolutely right. Go to workplacehero.me/hardstuff to hear my take on how you should start your day. Basically, begin your days on your terms apart from distraction. If possible, I suggest that you wake first in your household. Drink your coffee or fix yourself a warm breakfast while you journal or read or simply enjoy the silence. Develop a distraction-free morning routine. It will lay the foundation for a less-distracted day. 8. Cancel cable / Unplug television. If you haven’t already cut the cord, it is difficult to argue against the distracting nature of our television. Researchers tell us the average American watches 37-40 hours of television each week. There is, of course, a solution to this madness: unplug your television completely. Or at least do what I do, put the TV away (behind the couch) every morning. But if this step seems too drastic a stretch for your family, you’ll never regret the simple decision to cancel cable. Your calendar will thank you for the extra time available. Your wallet will thank you for the extra dollars. And you’ll quickly wonder why you didn’t do it sooner. 9. Keep a to-do list. One of the most helpful and practical podcasts I have ever released can be found at workplacehero.me/todo. No matter how hard you try to manage yourself, new responsibilities and opportunities will surface in your mind from internal and external sources. The opportunity to quickly write down the task allows it to be quickly discarded from your mind. I use the Notes app that comes installed on all my Apple devices for my To Do list so I can add to it anytime I want to. In bed, in a meeting, on a bus, anytime! That way I can get it out of my head and on to my list. 10. Care less what other people think. The value of your life is not measured by the number of likes your Facebook post receives or the number of positive comments on your Instagram pic. Please understand, there is great value in humbly seeking opinion and appreciating the wise counsel of those who love you. But there is no value in wasting mental energy over the negative criticism of those who only value their own self-interests. Learn to recognize the difference. And stop living distracted over the opinion of people who don’t matter. If you have been listening to this podcast for a while, you probably get the idea that I like lists. And you would not be wrong. Over at success.com, Emma Johnson has a list of 6 suggestions that she thinks will help you eliminate distractions. Carve out blocks of time—whether for work, exercise or people you care about—and turn off your phone and computer. Download the free app SelfControl, which shuts off especially distracting websites such as social media or news pages for a set period of time. Just because you can work 24/7 doesn’t mean your mind or body are designed to do so. Check out the advice Guest Hero, Hailey Rowe gave us at workplacehero.me/lowenergy for more info on taking breaks. Exercise, plenty of sleep, healthy eating (including good fat, yummy protein, and tons of veggies) plus all of those things you know you’re supposed to do promote mental health and focus can really help you cut down on your natural distractedness. Set some health goals for yourself and stick to them. We will tackle how to do that in a future episode. I know, we already talked about this one but I feel like it is worth a second mention. Limit the number of times per day you check and respond to email, text messages and social media. Remove the temptation to constantly keep an eye on these pests but shutting off their ability to buzz, beep and vibrate at you. 5. Knock out the most dreaded duties first thing in the morning. If you have a difficult email you must send? Bills to manage? Need to initiate a difficult conversation? Get it off your to-do list and out of your mind, freeing you to be productive. 6. Eliminate or minimize negative people in your life. These are people who play the victim, are stuck in unhealthy habits, or generally make you feel drained or maybe even bad about yourself. Surround yourself with those who are positive, focused, productive and ambitious. Remember the late iconic speaker Jim Rohn’s rule: “You are the average of the five people you spend the most time with.” Choose wisely. And over at LifeHack.org, Sylwia Rytarowska has a few more suggestions that I thought were worth mentioning. She suggests that you declutter your mind. Cacophony of voices, text messages, tweets, sales pitches, and bold headlines fight for your attention. You hear a song on the radio and you can’t hear your own voice over its continuous replay in your head. The first thing you should do is notice that you’re running on autopilot. The next natural step is to turn it off. It’s not easy to fight your default mechanism at first, it’s deeply rooted, but it’s a matter of practice and mindfulness. Start exercising your impulse-control. Focus on here and now. When you feel yourself getting distracted, take a second and ask yourself “what is my focus right now?” Writing that report will go much easier if you enter the state of flow. Think about the direct impact you’ll make, if you carry out the task efficiently and on time. Think about the satisfaction you’ll feel afterwards. This is the best reward and it will keep you on track for the future tasks as you gain the momentum. Focus is your natural gift. Use it well. Clear your day up front before you start it. In the morning, before your workday begins, dedicate a few minutes to managing your schedule. A great way to do it is by applying the Covey time management matrix . Have a moment to set your priorities and determine which tasks are truly vital and urgent that day, which are not so urgent but still very important and which you should avoid, either by delegating or eliminating altogether. This last type of tasks may be tricky because they will often be urgent, though uninspiring, issues, like questions from colleagues concerning their problems, phone calls and emails that you answer by default, only because you’ve always done it and that’s the way it’s always been. Well, it doesn’t have to be that way. Not really. Take control and make a conscious decision of what you’re going to when they come knocking. Once you’ve made it, hold on to it and ruthlessly follow through. Prepare your workplace. When you’re facing a lengthy or complex task involving concentration, prepare your place of work, so that you can avoid distractions and won’t need to make unnecessary breaks. Breaks aren’t bad in and of themselves. It’s the involuntary deconcentration accidental breaks that may cause a setback to your progress. Make sure you are taking a break because you want to not because something else wants you to. Zen your computer. There are many cool ways to deal with distractions, such as social networking sites. There’s a great app called Anti-Social that blocks social media and lets you become more productive. It will block the sites that you waste your time on and can’t be turned off, which makes it an excellent help. There’s a great choice of apps that will track your computer use and tell you how much time you spend on individual sites. A few are: RescueTime, Klok, Slife and ManicTime. RescueTime, for instance, will give you a readout at the end of the day of your web activities. There are all kinds of apps to help you concentrate and remove unwanted temptations, and their use depends on the type of work you’re doing. If you do a lot of writing, there are the Mac-based WriteRoom and its Windows counterpart, Dark Room, which promise “distraction-free writing” by trimming your screen down to one function: Writing. There’s also the popular OmmWriter, which possesses a few cool features like meditative music and chromotherapy which create a unique environment to enable you to focus on your writing. A quick Google search will likely uncover anything you can think of. Solidify your attitude. To avoid possible distractions, manage your approach to the task. The “Act as if…” approach works nicely. It is simple: pretend you’re being watched and your task is approaching the deadline. It has been proven that our performance improves significantly if we know we’re being observed and assessed. In truth, we are evaluated all the time, either by people or by life itself so this won’t be too hard… but you will have to use your imagination a little. Close the door. Stephen King, the master of American Horror and a very diligent, prolific writer gives this advice in his book “On Writing.” If you can’t do that literally, do it figuratively. Tell everyone that you’re busy for a certain period of time and ask them not to disturb you. When I work from home, I have half-joked that I am going to buy a hat to wear that indicates that I am “not home” that I am actually “at work”. If you see me in that hat, you must pretend that I am not there. Kind of like an Elvin invisibility cloak but less nerdy and more absurdist. Manage the tasks. You’ve probably heard the saying that “you eat an elephant one bite at a time.” And yes, it does work.Take it one step at a time and don’t let fears and worries distract you from your work. You may also get a bit overwhelmed with small details. To get that problem out of your way, do the opposite: compile and put together a bunch of minor assignments and complete them all in a row. Go an extra mile. As you’ve probably heard, there are no traffic jams on the extra mile. And literally, traffic is the number one time thief nowadays. If you arrive one hour early at the office and leave one hour later than everyone else, you’ll get much more done. Not only because you’ll avoid congested streets and lots of stress, but also the empty office won’t distract you from your productive efforts. Personally, I suggest merely shifting your day by an hour or so depending on whether you are a morning person or not. Start your day at 7 or 8:00 instead of 9:00 and then knock off at 3 or 4:00. That way you aren’t giving up any of your own precious time. Ok… I feel a little dirty after that one… so now, on to your homework! For the next 5 work days, before you go on to whatever you’re going to do next, think about what Einstein said: “Insanity is doing the same thing over and over again and expecting different results.” If you just go on with your usual routine, default course of action and forget what you’ve heard here, the distractions win and you lose. So every morning this week, I want you to think about one thing you learned on this podcast that you can do right now or during the remainder of the day. Is it turning off a few more notifications on your phone or computer? Or is it putting headphones on (even if you aren’t listening to anything) to signal to coworkers that you aren’t available to listen what their dream was about last night? Or is it cleaning up your desk or workspace before you start your day? Or maybe you choose the two times of the day that you are going to check your email. Choose a different item each day and make that change. As Sylwia so eloquently said in the Lifehack.com article: “Your lifetime is made up of days, days of hours and hours of minutes. Although, a minute or ten doesn’t seem like much, the idea that you can waste a few minutes is the biggest, fattest lie you’ll ever tell yourself.” Let’s stop wasting time and make this week count. Workplace Hero is researched, written, narrated and recorded by me Brock Armstrong with editing help from Eleanor Cohen. Podcast logo by Ken Cunningham and original music by my band, The Irregular Heartbeats. Today’s heroic fodder was gleaned from internet writers Sylwia Rytarowska, Joshua Becker, and Emma Johnson. Gotta run – I’m going out to buy a WORK hat – that’s my first move -thanks!